When do you do when you're confined on your tour bus for hours upon end and need something to pass the time? Record awesome videos for your fans! 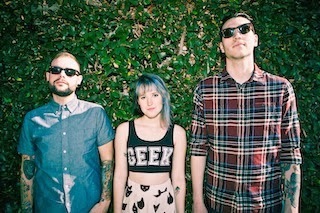 While on their recent UK tour, Candy Hearts recorded an video of them performing a stripped down version of "Brooklyn Bridge." Don't forget, the band will be spending their summer on the Vans Warped Tour. Dates and ticket information can be found here.